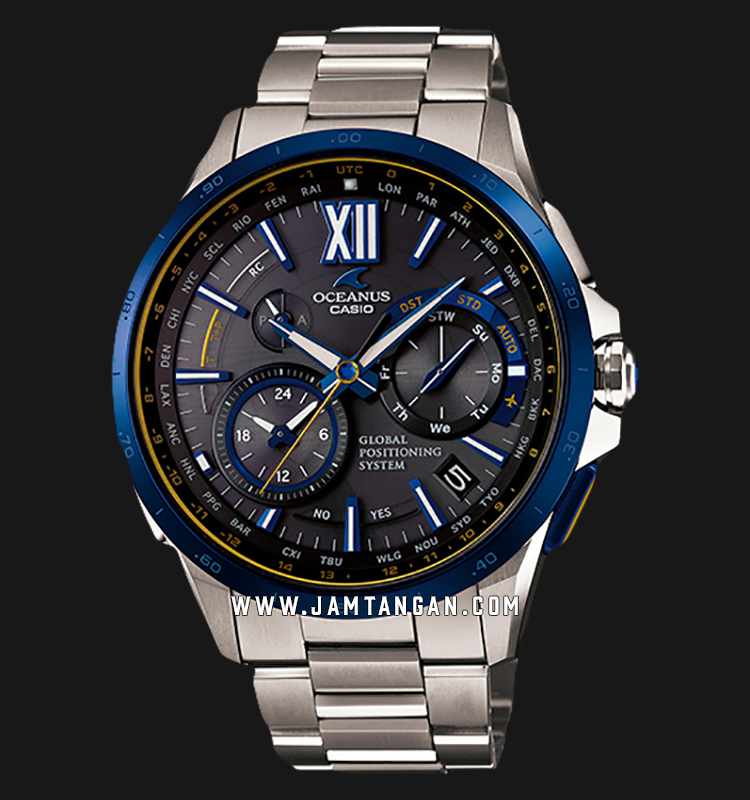 OCEANUS, the watch brand that blends quality and function under a brand concept of “Elegance and Technology,” is proud to announce the OCW-G1000 Series of watches with GPS HYBRID WAVE CEPTOR＊1 system that help keep you on time all the time, no matter where in the world your travels take you. GPS HYBRID WAVE CEPTOR combines the convenience of solar powered atomic timekeeping with GPS signal reception that lets the watch determine your current position and time zone. The watch adjusts its time setting and even determines whether or not to change over to summer time, which ensures accurate timekeeping no matter where in the world you happen to be. A hybrid configuration means that the watch receives a time calibration signal＊2 when it is inside of building or anywhere else where GPS signal reception is difficult. If a time calibration signal is unavailable for some reason, the watch picks up GPS signals. To you this means that your watch settings are accurate and up to date. Not only that, dual dial world time lets you check the current time in two different cities at a glance. And this watch looks great, too. The 12 o’clock hour marker and a design element on the second hand resemble satellites. Other design features include sapphire glass crystals with non-reflective coating on both surfaces, scratch resistant titanium carbide, DLC (Diamond Like Carbon) coating bezel done to a beautiful Sallaz polished finish. 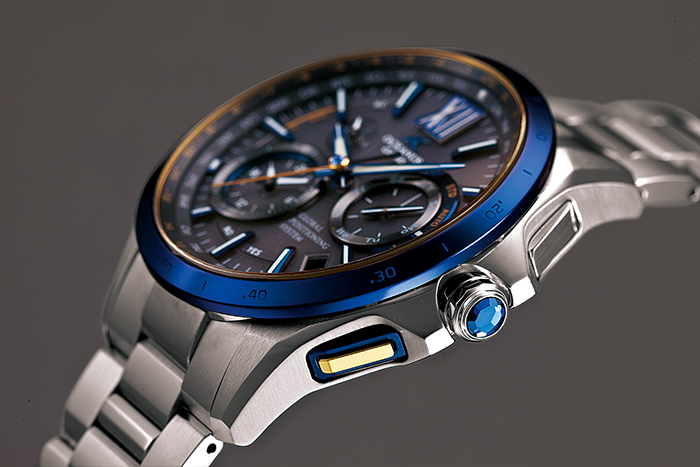 On the sea or on the land, the OCW-G1000 Series is the timepiece that keeps you on time. ＊1 CASIO’s original solar charging system combines with GPS (Global Positioning System) to provide you with position information virtually anywhere. ＊2 Inside terrestrial radio wave reception area. With the GPS hybrid system providing immediate access to accurate time information for the current location, two city times are displayed simultaneously on the dial and by hour and minute hands onan inset dial.